Please join APT DC, EverGreene Architectural Arts, and Gilbane Building Company for a hard hat tour of the ongoing renovation project at Baltimore’s Central Library and State Library Resource Center! Participants will learn about challenges the project faced at the intersection of historic preservation and renovation for the library’s public services. Designed in 1932 by local architect Clyde N. Fritz, his crown jewel exhibits a restrained Classicism with finely-crafted ornament incorporated in the renovation design by Beyer Blinder Belle and Ayers/Saint/Gross. 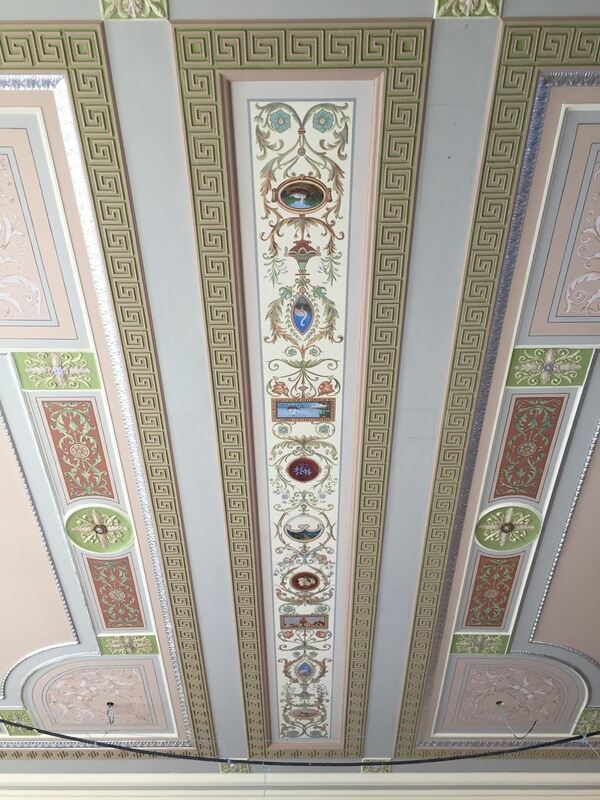 Highlights include investigation, conservation and restoration of long-hidden decorative painting; innovative placement of building systems to minimize impact on historic fabric; integration of acoustic plaster systems; architectural woodwork and metals; and phasing construction in an occupied building. Presenters include Sarah Kloze, Kim Lovejoy, and Andrew Maziarski from EverGreene Architectural Arts and John Durcan from Gilbane Building Company. Participants should wear boots appropriate for a construction site and bring their own hard hats and safety vests. Food and drinks (other than capped water bottles) will not permitted on the tour. Photography will be permitted. 2.0 LU/HSW credits are being requested from AIA for this event. To receive credits, please select the appropriate option during registration. For more information on the project, please visit http://www.prattlibrary.org/CentralRenovation/.